MONDAY, Nov. 26, 2018 (HealthDay News) -- Children who are overweight or obese have an increased risk for asthma, according to a study published online Nov. 26 in Pediatrics. James E. Lang, M.D., M.P.H., from Duke University in Durham, North Carolina, and colleagues conducted a retrospective cohort study using the PEDSnet clinical data research network to compare asthma incidence among overweight and/or obese versus healthy-weight 2- to 17-year-olds. Data were included from 507,496 children and 19,581,972 encounters. Participants were observed for a mean of four years. The researchers found an increased adjusted risk for incident asthma among overweight and obese children (relative risks, 1.17 and 1.26, respectively). Among children with obesity, the adjusted risk for spirometry-confirmed asthma was increased (relative risk, 1.29). In children with obesity, an estimated 23 to 27 percent of new asthma cases were directly attributable to obesity. The researchers estimated 10 percent of all cases of asthma would be avoided in the absence of overweight and obesity. "Pediatric obesity accounts for a substantial component of new asthma cases among children in the United States," the authors write. 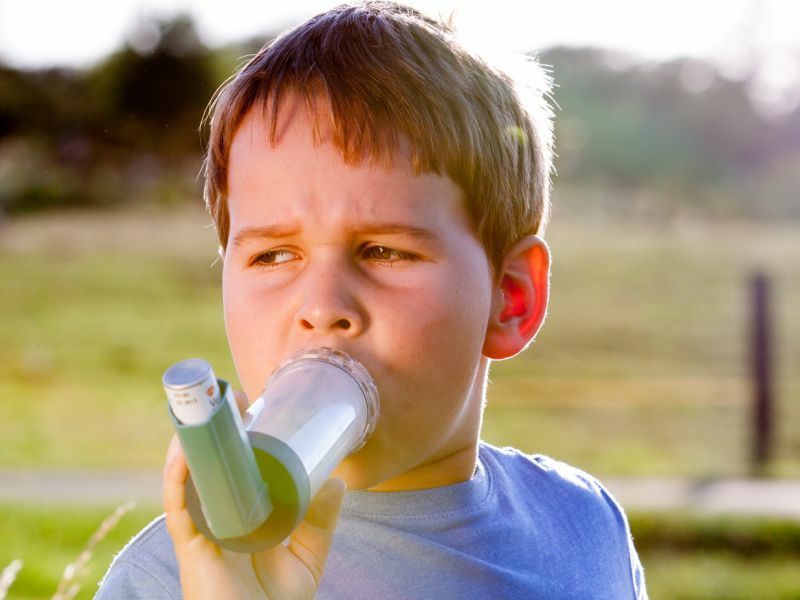 "Successful interventions which reduce pediatric obesity must be a major public health priority to improve the quality of life of children and reduce obesity's contribution to pediatric asthma."